and Tanner. 20th century artists represented include Hopper, O'Keeffe, Dove, Harley, Marsh and Avery. Among the American Impressionists works included are Theodore Robinson and Frieseke. The icon of the collection is the early American masterpiece by Samuel . B. Morese, "Gallery of the Lourve." Ruth Harriet Louise (1903-1940) was the first woman photographer who was active in Hollywood. She was 22 years old when the Metro-Goldwyn-Mayer Studio hired her to photograph Hollywood's biggest stars such as Chaney, Crawford, Garbo, Gish and Shearer. 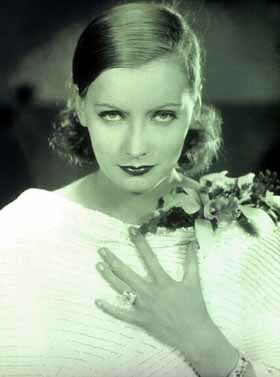 Hollywood invented most of our notions of glamour and Ruth Harriet Louise played a central role in creating the images. 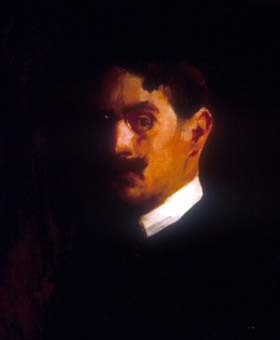 Edmund C. Tarbell (1862-1938), a founding member of "The Ten American Painters," a group of leading impressionists from Boston and New York, which included Childe Hassam, William Merritt Chase and Frank W.
Benson. 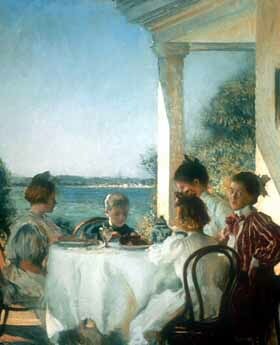 Beginning in 1892, Edmund Tarbell and his family summered in the coastal village of New Castle, New Hampshire. His wife and four children became his favorite subjects, and he painted them in quiet moments of domestic life and engaged in outdoor activities. open from 10 a.m. to 8 p.m. on Tuesday, 10 a.m. - 6 p.m. on Wednesday through Saturday, noon to 5 p.m. on Sunday and closed on Monday. The museum gift shop offers an extensive collection of exhibition catalogs from Terra and other museums, plus a large variety of children's books,posters, note cards, jewelry, textiles and pottery by regional artists. For further information call: (312) 664-3939 or www.terramuseum.org.